C1444. NIKOLAI MALKO Cond. Sydney S.O. 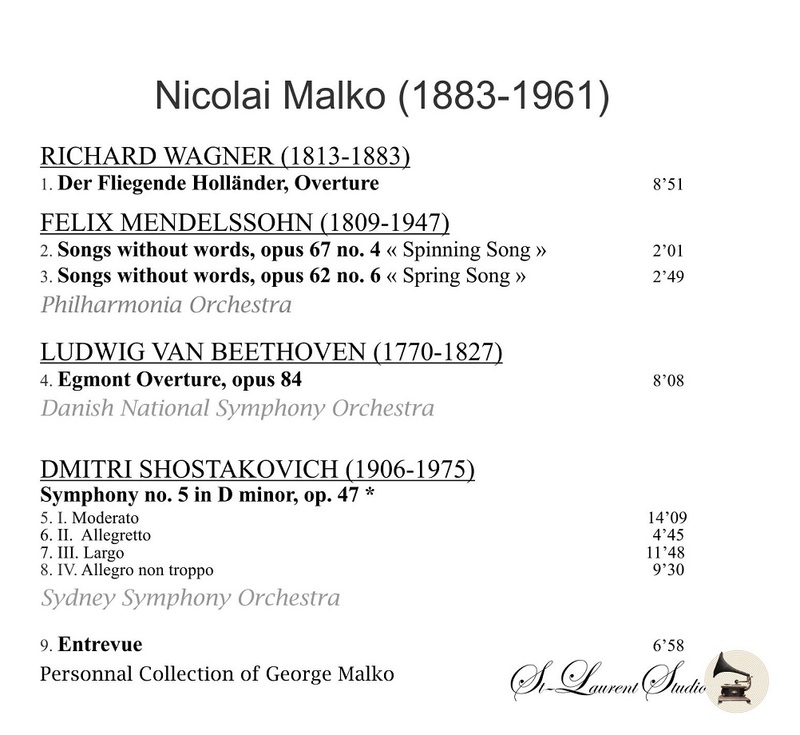 : Symphony #5 in d (Shostakovitch); NIKOLAI MALKO Cond. Philharmonia Orch. : Der Fliegende Höllander - Overture (Wagner); LIEDER OHNE WORTE – Spinnerlied; Frühlingslied (Mendelssohn) - recorded 1952-53; NIKOLAI MALKO Cond. Danish National S.O. 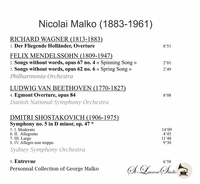 : Egmont - Overture (Beethoven), recorded 1950; Interview with Nikolai Malko. (Canada) St Laurent Studio YSL 78-367. Transfers by Yves St Laurent. "Malko completed his studies in history and philology at Saint Petersburg University in 1906. In 1909 he graduated from the Saint Petersburg Conservatory, where he had included Rimsky-Korsakov, Glazunov and Lyadov among his teachers. He published articles on music criticism in the Russian press and performed as a pianist and later as a conductor. In 1909 he became a conductor at the Mariinsky Theatre and, six years later, the head conductor there. From 1909 he studied conducting in Munich under Felix Mottl. In 1918 he became the director of the conservatory in Vitebsk and from 1921 taught at the Moscow Conservatory. From 1921 to 1924 he shuttled between Vitebsk, Moscow, Kiev and Kharkiv, conducting in each of these cities. In 1925 he became a professor of the Leningrad Conservatory. He became conductor of the Leningrad Philharmonic Orchestra in 1926 and conducted the world première of the Symphony #1 by his pupil Dmitri Shostakovich that same year, and the premiere of Shostakovitch's Symphony #2, dedicated to him, in 1927. Malko also conducted the premiere of Nikolai Myaskovsky's 5th Symphony. Myaskovsky's 9th Symphony was dedicated to Nikolai Malko. He was succeeded as director of the Leningrad Philharmonic by his pupil Yevgeny Mravinsky in 1938, and continued to teach at the Conservatory. 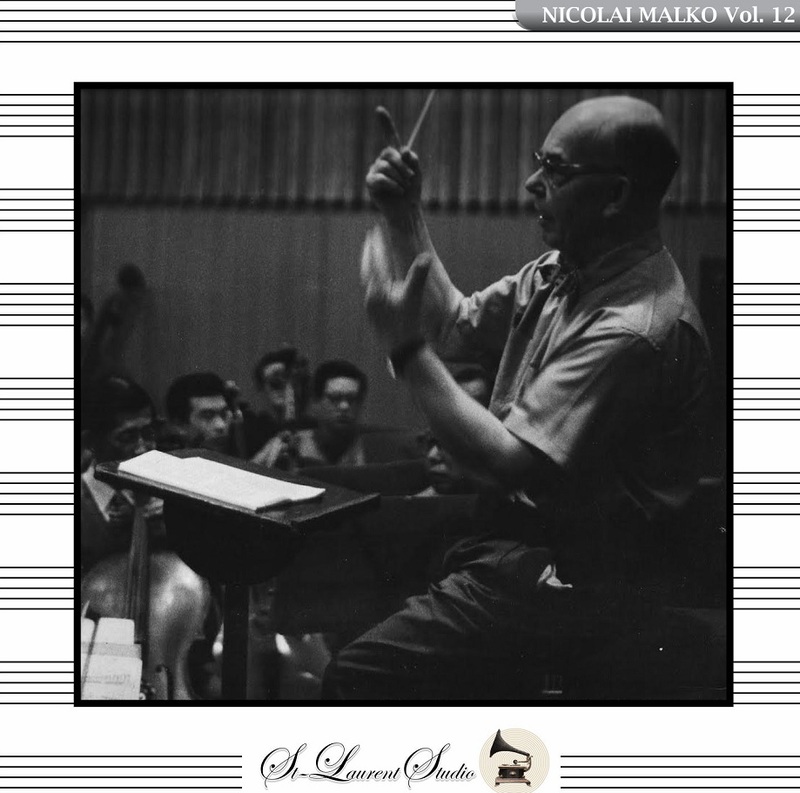 With the outbreak of World War II in 1940, Malko settled in the United States, where he also taught conducting. His thoughts on conducting technique were gathered together and published in a volume entitled, THE CONDUCTOR AND HIS BATON (1950).